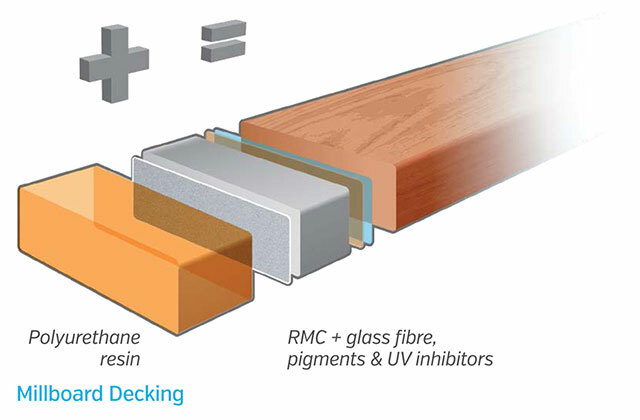 Millboard is a revolutionary and unique composite decking product. 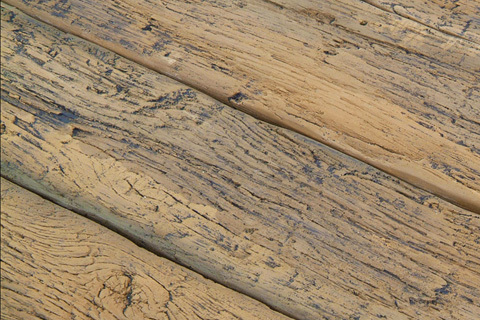 Molded from actual, hand-selected, aged timber pieces, Millboard decking is inspired by the beauty of nature. But created to outperform it. Millboard decking contains no timber or plastic. It's made from mineral fibres and reinforced with fibre glass, coated with an incredibly resilient polyurethane Lastane® layer. It has a non-porous surface that will not rot, warp, fade or splinter. Even around a pool where it is constantly battered by the hot sun and chlorinated water, every board will remain the same colour and texture. Inspired by the soles of non-slip shoes, Millboard is also accredited with the highest anti-slip rating (R11), even when wet. 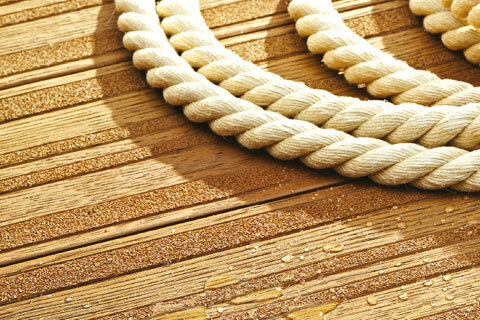 Millboard decking requires no oiling, sanding, staining, painting or coating over the life of the product. Millboard has low expansion and shrinkage, so it can be installed with minimal gaps between planks. It has a similar hardness to a fine hardwood deck. You can download a full-colour brochure here. Millboard contains no plastic. It is manufactured with a low energy process system (2-6 MJ/Kg) using a blend of recycled material and reclaimed natural minerals. 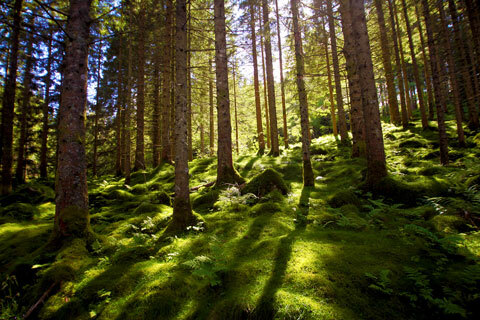 By using a non-timber decking product you’re also helping to conserve our precious forest resources. A smooth, natural wood-grain finish with a clean, modern elegance. 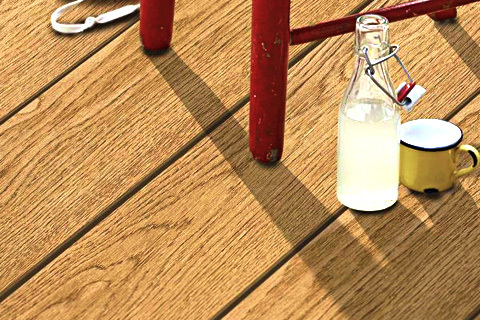 This incredibly realistic decking captures the natural hues, texture and beauty of the hand-selected prime oak originals. The Enhanced range matches well with modern and classic homes, and adds style & elegance to any project. 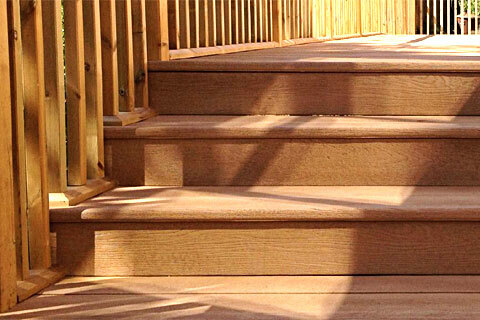 No other composite deck compares to the classic finish of Enhanced series Millboard. Naturally versatile, Enhanced Grain is well suited to a wide range of applications including external flooring, walls, features and a broad range of commercial and public-space applications. Get inspired & create your perfect outdoor space! Our handcrafted Weathered Oak collection is moulded from 100-year old reclaimed timbers to create a striking and distinctive worn look – without the wait. The original samples used to mold this product include timbers from wharfs and from the floor of an old French railway carriage! The result is incredible realistic – you and your guests will find it hard to believe it’s not beautiful, aged timber. The deep wood-grain finish of the Weathered decking range recreates the sought after styles of old railway sleepers, salt bleached driftwoods and flame-kissed charcoal - without the worries of regular deck maintenance and deterioration. An occasional wash with soapy water is all that’s ever required. Weathered composite decking is perfect for decks, feature walls, landscaping, planter boxes and many other creative applications. Get inspired & create a beautiful outdoor lifestyle to enjoy for years to come! 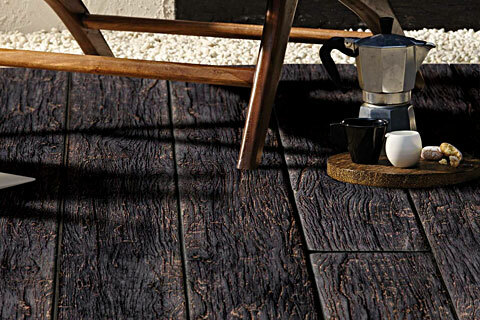 Inspired by the traditional Japanese Shou Sugi Ban technique, where timber’s surface is burned to create a striking and long-lasting finish. Available in Enhanced Grain or Weather Oak styles. Our LastaGrip collection’s textured design offers our highest anti-slip rating without the rough feel of gritted strip boards. Perfect for wet areas, and where anti-slip characteristics are of high importance. Available in Coppered Oak & Golden Oak colours. Millboard Fascia matches perfectly with your choice of Millboard, ensuring the final look is seamless. Available as standard or ultra-flexible for curved applications. Millboard decking is available in a range of stunning colours to match and enhance your environment. Darker colours often provide a warmer feel in shaded locations. The lighter colours are recommended in unshaded areas exposed to prolonged hot sun. 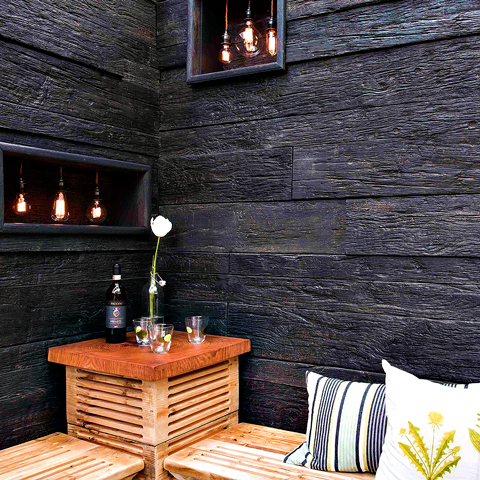 Create the perfect feature wall with Millboard. Millboard decking is the world’s best extended life wall cladding, with a 25 Year Warranty*. or as a complete wall cladding solution. *Residential warranty 25 years. Commercial installations 5 years limited warranty. Terms & conditions apply. Millboard decking is designed to withstand the most challenging conditions including heavy foot traffic. The innovative Lastane® surface boasts an R11 anti-slip rating for unrivalled safety in commercial and public applications. It's surface is 100% non-porous, so spills of any kind can be easilty and hygienically washed away with water. 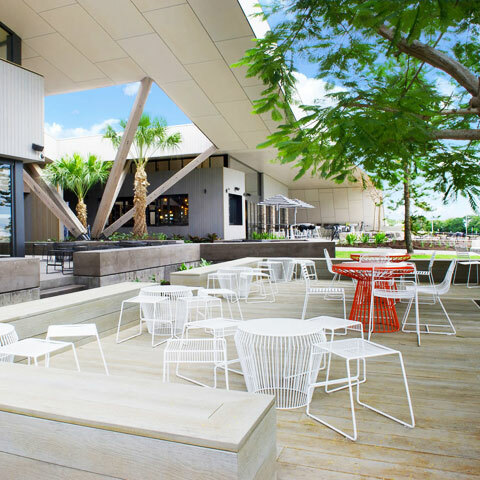 Millboard is ideal for commercial applications such as outdoor dining areas, walkways and leisure areas. Exceptionally quiet underfoot, the Lastane® surface also helps deaden footfall and furniture noise. Being anti-fungal and algae repellant, Millbaord is ideal for wet applications like marinas, pontoons and jetties. For versatile design Millboard is available in two sizes – 176mm x 32mm and 196mm x 32mm. 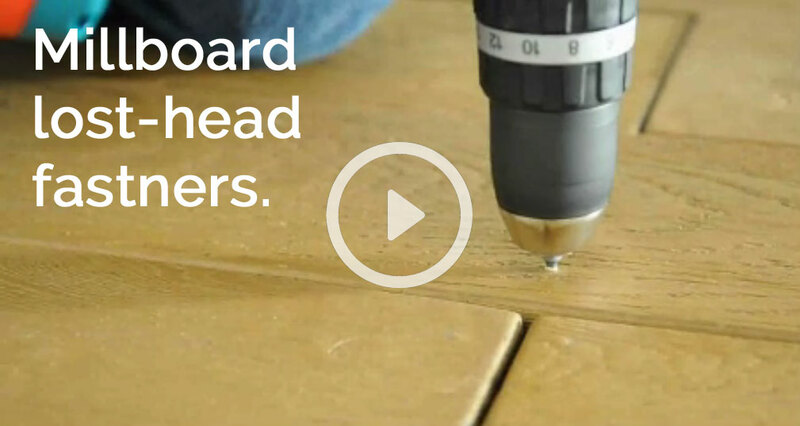 The Durafix hidden fastening system provides an immaculate finish with very quick install times. In commercial applications, Millboard is covered by a 5 year limited warranty. Terms and conditions apply. We'd love to help you include Millboard decking in your projects. You can download an Architectural Guide here. If you’re planning to do your own installation (or if you’re a professional installer), you’ll love the simplicity of working with Millboard. It’s quicker and simpler to install than timber decking, with no pre-drilling, counter-sinking or special tools needed. Our ingenious ‘lost-head’ fixing system means that not a single screw is visible after installation - the Lastane® surface self-heals over the fixing. Beautiful! 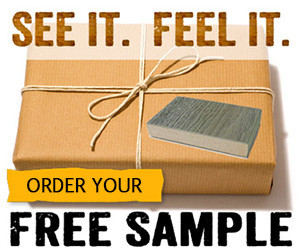 For more information - Millboard Installation page. Download the Millboard Installation and User Guide here. Need discount-priced bearers and joists for your decking project? We'll make your dream deck a reality. for info or an on-site consultation. Copyright © 2018 Maintenance Free Decking Australia.